The past few years have seen tremendous progress for the LGBT community: the repeal of “Don’t Ask, Don’t Tell,” marriage equality continues to gain momentum, and the widespread integration of gays into the mainstream. But as we head into election season, many gays and lesbians and their allies are wondering where the Presidential candidates stand on all the issues that matter most to the LGBT community. Who will best represent them in the next four years? 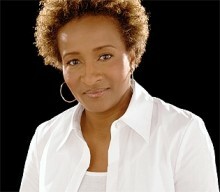 Logo will lead that discussion with a series of two “NewNowNext Vote with Wanda Sykes” election specials. Hosted by politically-minded comedian and TV personality Wanda Sykes, Logo’s NewNowNext Vote with Wanda Sykes election specials will educate, activate and entertain viewers while shining a spotlight on the state of national politics through an LGBT lens. Taped in front of a live studio audience in Times Square in New York City, the specials will feature a rapid-fire, roundtable format with notable panelists from both sides of the political aisle. The first of two, one-hour specials will air four days after the Democratic National Convention, Monday, September 10 at 10:00pm ET/PT followed by the second special on election-eve, Monday, November 5 (time TBA) on Logo. Posted August 19th, 2012 & filed under News, Politics.